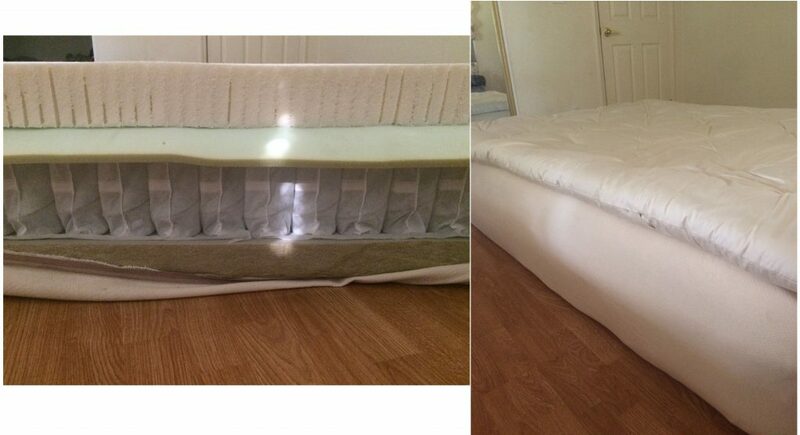 A completely DIY mattress made using many of our supplies, including a wool topper. In order from bottom to top: 2″ of high density (super-lux) foam as the base, 6″ pocketed springs, 1″ super soft foam, 3″ medium latex, and the wool topper. The customer says, “It feels better than any hotel bed I’ve slept in.” Thanks, Bryan, for sharing! We consider your DIY approach inspiring and resourceful.